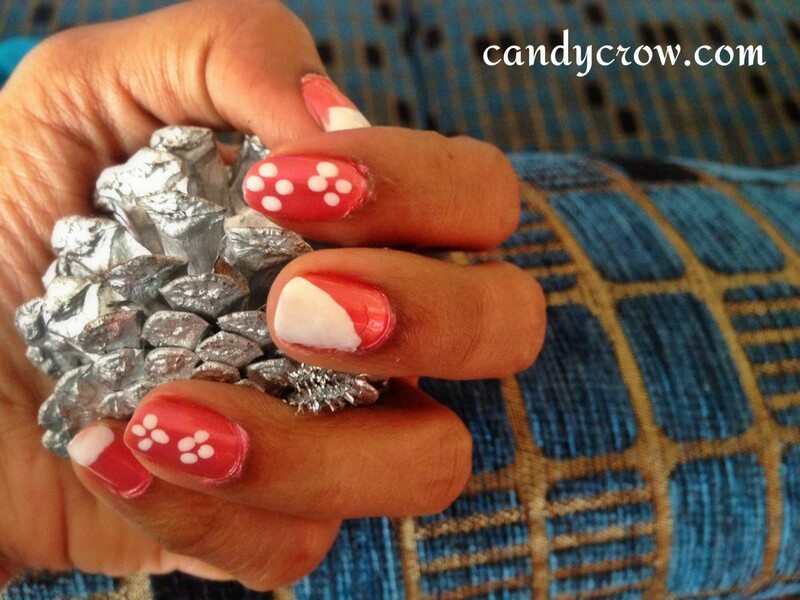 This is a easy nail art. I have just used tooth pick to create it. 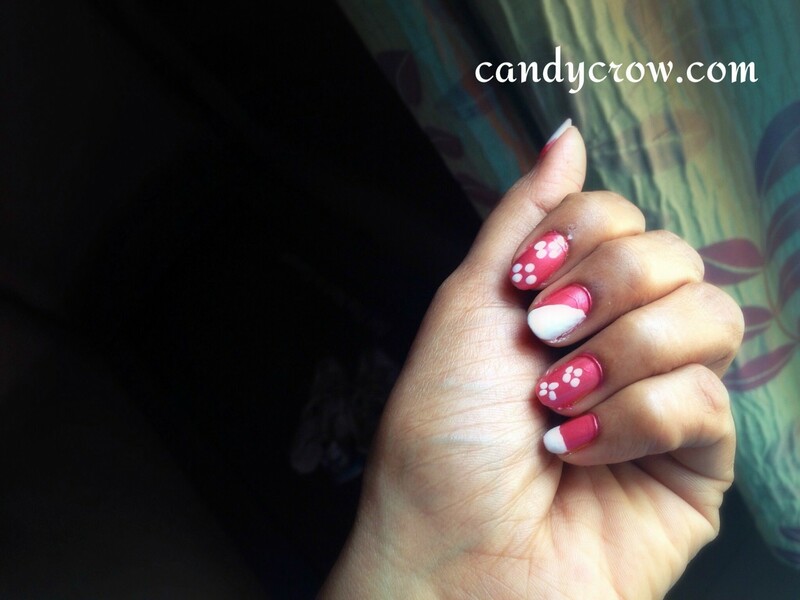 I have used Maybelline Colors how nail polish and Elle 18 top coat to create this nail art. I have just used free hands to make the stripes with white nail polish so it has not come out perfectly :( but if you use cellophane tape you can create a perfect diagonal stripe. I have placed 4 dots with tooth pick to create a diamond shape. 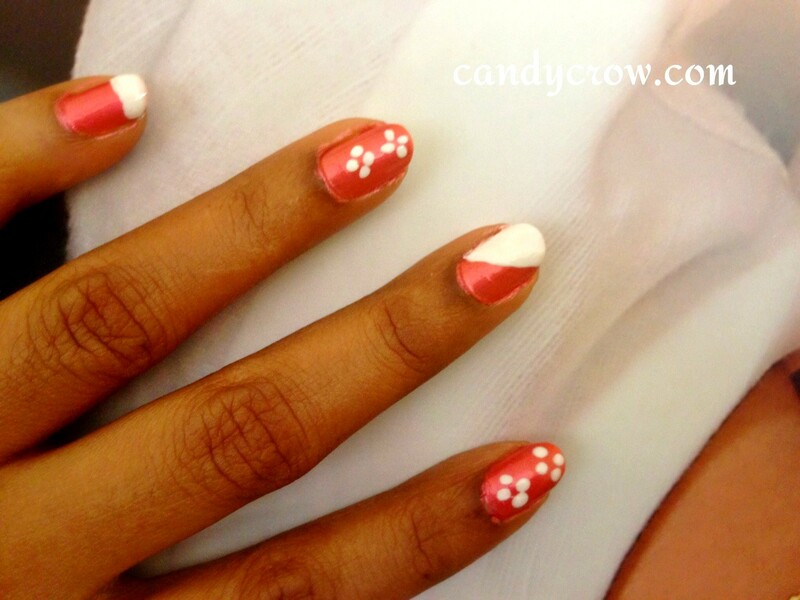 Be sure the nail polish is completely dry before stating nail art, otherwise it will become messed it. I am still under learning process to create nail art and nail art photography, until then bear with me.